The Paraguay international, whose terms are due to run until the summer of 2024, arrives at St James’ Park from Major League Soccer side Atlanta United. He helped them to MLS Cup glory in 2018, netting 13 goals and providing as many assists along the way. 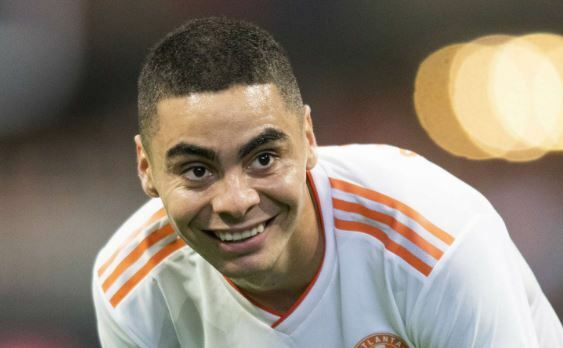 Almiron is delighted to have earned such a show of faith, telling NUFC TV: "I’m very happy and eager to start and to meet my new team mates. "The league is very competitive, this is a historic club, and Rafa Benitez himself were the main reasons why I am here now. "I think it is a great responsibility, something beautiful for me, and I will try to offer the best I can to repay the trust the club put in me." "We know that MLS is a different challenge to the Premier League but he has the potential to do what we are expecting, and what we need. "From talking to the lad, you can tell that he is really focused and wants to do well. He wants to be successful and he wants to help the team, to score goals and give assists if it is possible. "His impact in MLS has been really good - he's been one of the best players this year - and hopefully he can give us more competition and more quality in the final third. "I am pleased that the hard work behind the scenes has ended positively and I thank everyone for their efforts."